One Incision. Ultralight Mesh. Total Pelvic Floor Reconstruction with 3-level Support. 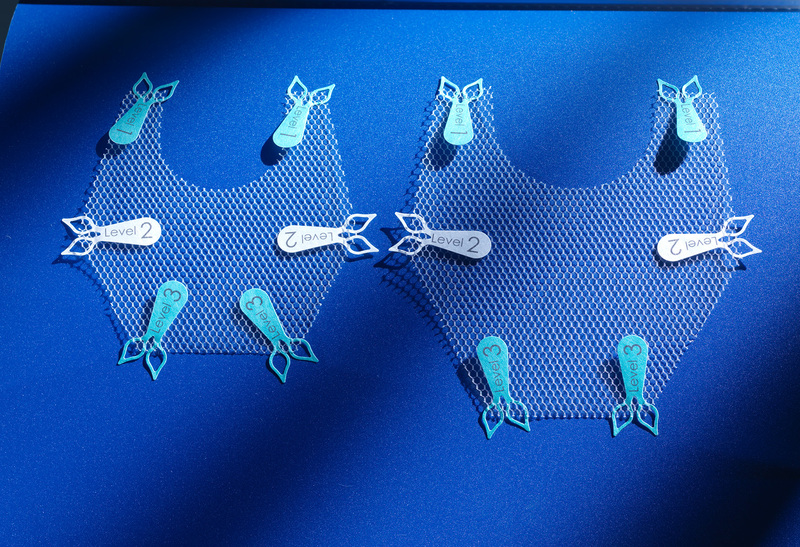 An ultralight mesh with an innovative form of 6-point suture fixation (3-level support) allows effective repair of various pelvic floor defects through one single incision. The mesh of monofilament polypropylene is ultralight in weight (21 g/m2) , with a wide-pore, hexagonal structure that lends the material a high degree of isoelasticity. Together, these features theoretically promote rapid tissue integration and reduce foreign body reaction in the very elastic vaginal tissue, as well as inducing the formation of mature collagen. Thus the defect is provided with a natural, very gentle means of support.